I'm gearing up for the Graceworks conference this weekend in Melbourne (next week in Tasmania). And I'm amazed again... that's the thing about Grace. It's really difficult to explain. It's like trying to explain beauty or love - ever try that? It's like trying to nail down why you can't wait for your best friend to phone - or why you get tingles down your spine when your lover holds your hand - or why a good book and a hot bath can be like a balm to your soul. But looking at Grace is essential. Because it's the one ingredient of the Christian recipe that is always needed. Circumstances can change, seasons of life can change, relationships shift, needs and gifts come and go - but Grace. That's the one thing. The true thing. the only thing really - that is always needed. Good thing it's in unlimited supply. I've been thinking of holding a competition to see if it's possible to run out. The truth of it is that I'm a grace hog. I love grace. 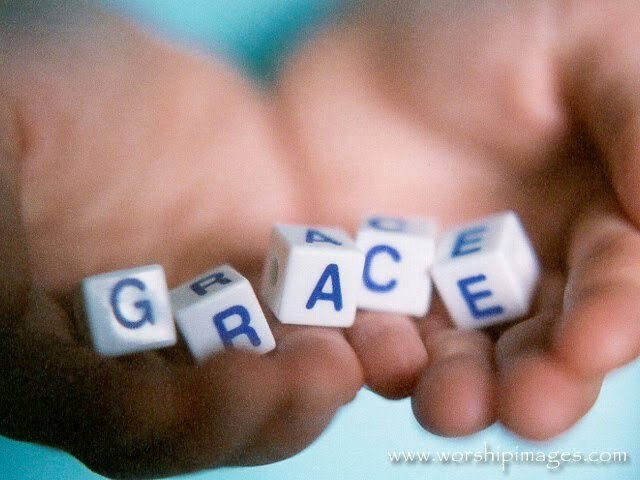 I need grace. I breath in grace. I relish Grace. My hope is in Grace. My future in Grace. My past in Grace... it's, well, I think I mentioned it's hard to explain? well. there you go.